1.6.3.1이 나온 이후 이번에는 1.6.4.8 Beta 버전이 나왔다. 2. Black flash when rightclick a link and select to open with new IE tab. 3. Improve the way of adding IE list, and make it compatible with the older version. 4. Change the Restore Closed Tabs button on toolbar, and improve its feature. 5. You can make some configration by command line parmeters in Options, and modify the specification of some mouse gestures. 6. Use more smart upgrade package, the update will be faster. 7. Update the sidebar extension Shopping Assistant. 9. 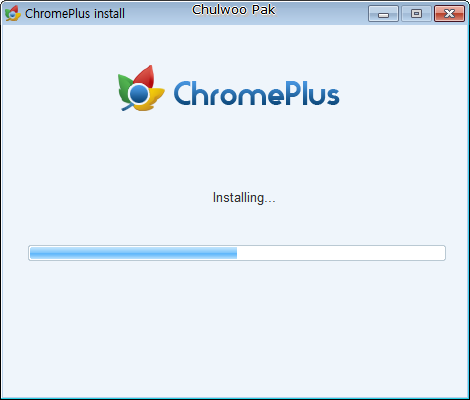 Update the based version to Chromium 14.0.835.202. 이번 버전에서는 위의 변경 사항에서 밝힌 바와 같이 설치 프로그램이 바뀌었고, 기본적인 설치 위치(폴더)도 변경되었다. 또한, 폴더 구조도 변경되어 이전 내용에 덮어쓰기도 제대로 되지 않는다. 신규 설치가 아니라 업그레이드 설치하면 설치하기 전에 북마크나 확장 프로그램 등을 잘 백업하고 동기화할 준비를 하는 것이 좋다. 1.6.3.0 알파1 버전부터 기본으로 사용하는 크로뮴 버전이 12번대였는데, 이번에는 14로 올라갔고, 이 버전의 특징은 다음과 같이 제시하고 있다. Initial release of Native Client. Additional Mac OS X Lion feature support. Sync Encryption for all data. Experimental Web Request extension API. Experimental Content Settings extension API. 정확하게 이번 버전의 기본 크로뮴 버전은 14.0.835.202이다. 그보다 이전 버전에서는 12.0.742.122였다. 아직도 현재 배포 중인 크로뮴의 실제 버전에 비해서는 뒤쳐진 버전이다. 참고로 내가 현재 사용하고 있는 크로뮴(Chromium)의 버전은 17.0.936.0이다.